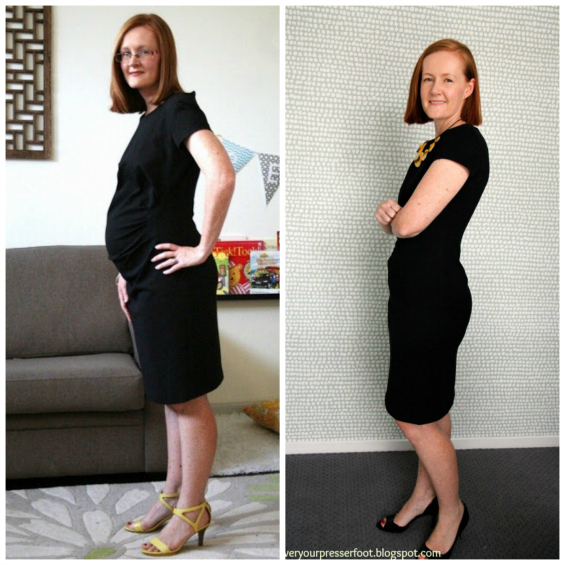 *dematernified: the act of refashioning maternity clothes into normal sized clothes. In my UFO pile I found a dress I made around 7 years ago when I was pregnant with my second child from New Look 6000 (an old favourite). I held onto it not because I was planning to have another child but because I made it from a good quality ponti knit which is hard to find and because this is a favourite dress pattern and it deserved to be worn for more than just a few months. To turn it into a maternity version in the first place I simply made it a size larger, added extra length to the front and placed gathers on both side (see this post here). To de-maternify it, I unpicked all the pieces and simply cut out the pattern pieces in the right size - and then it sat in my UFO pile for the past few years. No good reason why - I was just clearly distracted by newer and shinier projects! On a recent sewing weekend away with some sewing friends it took me about 2 hours to finally sew this dress and now I have a new dress just in time for the warmer weather we're having here in Sydney. Honestly, at the end of finishing each UFO I always wonder why I left it for so long! There's not much to say about this dress - it's a very simple make but is really flattering which is why a bajillion seamstresses have made it and the pattern is still for sale over at Simplicity. I've made this version with cap sleeves because even though I love the elbow length sleeves with button tabs they are impossible to get into jacket sleeves and it's so cold in my office that I definitely need that. 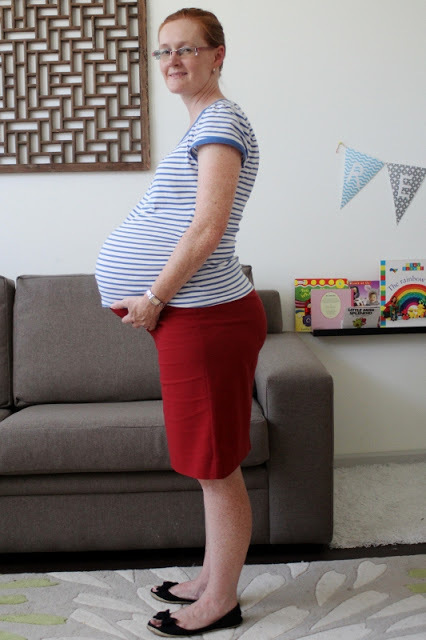 I guess the most obvious difference is in the side view - no more preggo belly (just a mum tum though). Finally how awesome is the necklace I'm wearing? 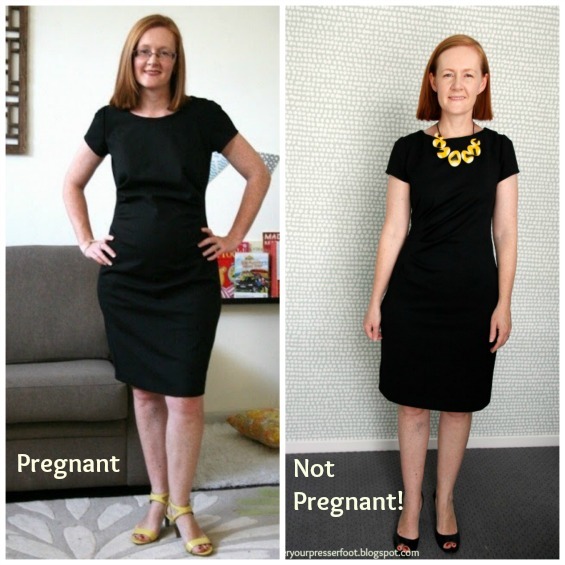 It's from an Australian company called Ruby Olive and this plain black dress is just perfect for showing it off.